There's still hope for a sequel to this year's Power Rangers movie. Even though this attempt to rejuvenate the 90s franchise for a new generation didn't dominate the box office in the way that Lionsgate and Saban may have hoped, Power Rangers 2 is not off the table, despite some recent evidence suggesting that could be the case. Here's what Amanda Zerbib, Account Supervisor for Alison Brod Marketing + Communications, had to say about it. "The franchise remains as strong and enthusiastic about its future as ever." Recently, it looked as though Saban, the company that controls the Power Ranges property, had abandoned the trademark for the 2017 movie logo, which also extended to other forms of media. That made it seem like Power Rangers 2 was very unlikely. However, according to Amanda Zerbib, that particular trademark application is no indication that Power Rangers 2 isn't going to happen. "Power Rangers continues to own and renew hundreds of trademark registrations worldwide, including for the 2017 movie logo. 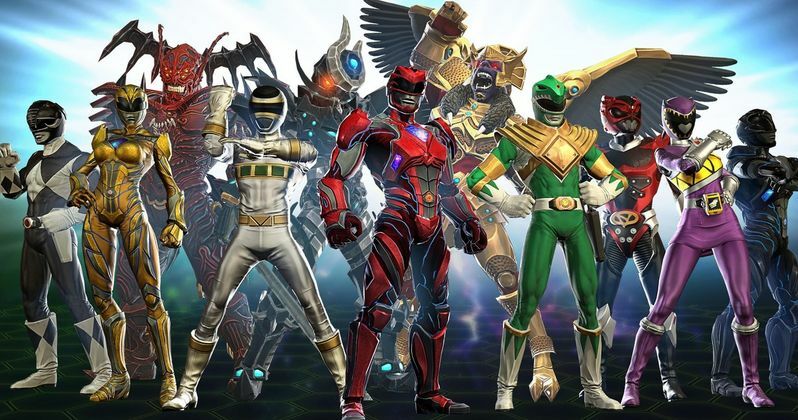 The trademark registration process is very nuanced; and the status of the single application has no bearing on our ownership of or the future plans for Power Rangers." That means it's possible that Lionsgate and Saban are still looking at a way to make Power Rangers 2 work. Looking at the numbers alone, it's hard to imagine that Power Rangers even managed to make its money back, let alone make the studios any money. Power Rangers grossed $142.3 million worldwide. The movie carried a reported production budget of $100 million. After factoring in marketing costs, that's not exactly the type of box office take a studio hopes for with a blockbuster movie. It appears that the Power Rangers brand may have been bolstered enough by the release of the movie to make a sequel potentially worth considering. When it comes to Power Rangers, there are multimedia opportunities and plenty of merchandise that comes along with releasing a movie, so it's entirely possible that there was money to be made. If they can somehow make a Power Rangers sequel for a little less money, it's entirely possible there's money to be made. Director Dean Israelite revealed in an interview earlier this year that he hopes to return and that the studios were discussing a sequel. "I hope so. It's obviously not up to me, but I know the studio (Lionsgate) and Saban are talking in earnest about it, and are trying to push forward. They're having a discussion." There's plenty of room, at least in terms of story, for Power Rangers 2 to move forward. The post-credits scene attached to Power Rangers teased the introduction of the Green Ranger, which is something fans are very much looking forward to seeing in a potential sequel. If Saban and Lionsgate can figure it out, it looks as though we may get that sequel after all. So keep your fingers crossed, Power Rangers fans.